My Mom dug these pictures out and posted them on facebook. Proof that I am an old school nerd!!!! 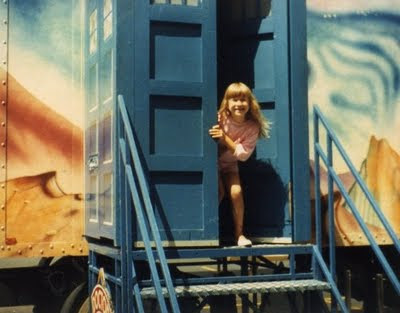 When I was a kid the Dr. Who props came to Indiana, and Mom took us! 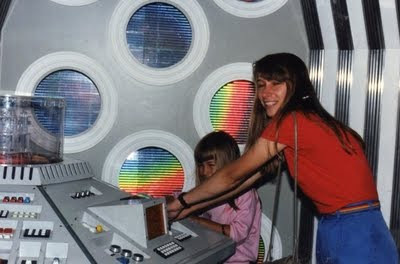 My brother and I loved Dr. Who, even if we didn't understand any of it. We just liked the scarf and the robot dog! 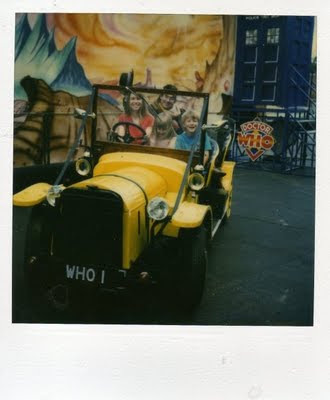 You could go inside the Tardis! And sit in the car! I am such a dork for getting this big a kick out of this! Did you see last nights episode of "Ace of Cakes?" They made an animated Dalek out of cake with blinking lights and a recording that said, "Annihilate and destroy"! Too cool. This is so cool :) the first photo is gorgeous :p thanks for sharing! Mr. Naughty I did not see that! Bummer! I freaking love all things Who! Especially the Daleks! They're so awesome and cheesy!